Do 4X4 trucks and SUVs need winter tires? Watch any TV show during the winter months and you'll be presented with car commercials depicting successful, practically triumphant winter driving. You know the ones – the woman or man behind the wheel is wearing a calm and serene expression, has a light grip on the steering wheel, and generally appears untroubled by the surrounding winter road chaos. Very often those winter driving scenes include a voiceover touting the latest and greatest all-wheel drive or four-wheel drive technology from the featured car manufacturer. The clear implication is that the vehicle’s traction system creates winter driving security. Because the marketing focus is on the vehicles with nary a word about tires, Americans could be forgiven for thinking that the “secret” to greater winter driving safety and confidence is four-wheel/all-wheel drive. And if you have a four-wheel drive or all-wheel drive vehicle you might have closed the case on the subject, accepted limited vehicle control and wintertime driving stress, and never really considered improvement – because you’ve already been convinced that what you have is as good as it gets. The fact is, even the very best 4X4 and all-wheel drive vehicles are ill-equipped for winter driving without proper winter tires. Winter tires provide a significant overall winter performance advantage for every type of vehicle, including 4X4 trucks and SUVs. It's also true that 4X4 and all-wheel drive traction systems presuppose a certain level of traction to function effectively. If the tires don't provide that level of traction, the systems are rendered essentially useless. On snow-covered roads, the benefits of four-wheel drive are felt primarily during initial acceleration. Calling on both front and rear axles to drive the vehicle through the resistance posed by inches of wintry precipitation is a true advantage. So in the winter driving circumstances that are most difficult, most hazardous, and most stressful, tires are your first line of defense. For true winter driving safety and overall vehicle control, 4X4 trucks and SUVs need winter tires just as much as any other type of vehicle. But consider this: How many winter road accidents have you seen due to ineffective acceleration? When you think about the driving scenarios where you feel most stressed, most helpless, and out of control on winter roads, is it when starting from a standstill? Probably not. Experienced winter drivers prioritize stopping performance, cornering grip, and straight line traction (the ability to track straight through wintry road conditions without losing control of the front or rear of the car). These are the greatest challenges in wintry conditions, and in these areas, four-wheel and all-wheel drive count for little to nothing. Particularly for braking, a 4X4 holds no advantage whatsoever as compared to a front- or rear-wheel drive vehicle. 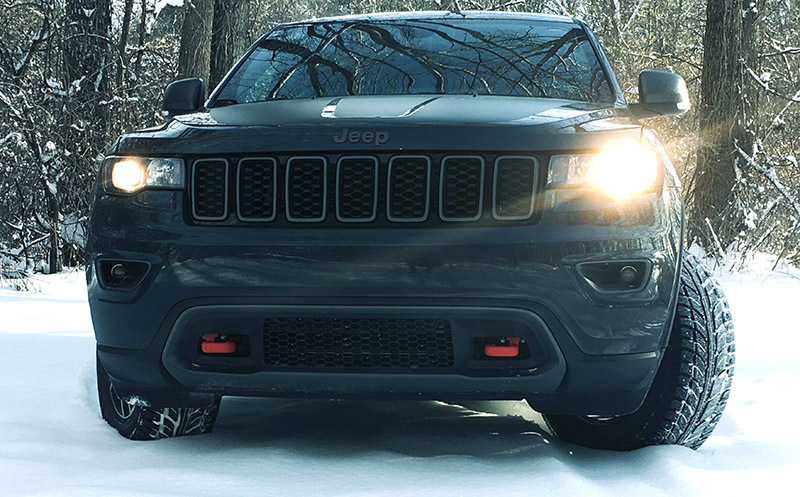 Tires are the source of your wintertime stopping power and performance. Tires are similarly the primary source of cornering grip. Your ability to effectively turn into (and not plow through) a corner comes down to tire traction. And while a 4X4 or all-wheel drive system might help you recover from a slide more effectively than a front- or rear-wheel drive vehicle, winter tires probably could have helped you avoid that slide in the first place. Winter tires also feature unique tread technologies that cut through layers of wintry road precipitation more effectively, helping the vehicle track straighter through the conditions. You might never become the calm, all-conquering winter driver depicted in those car commercials, but winter tires will get you closer than anything else. Winter tires, not four-wheel and all-wheel drive systems, are the foundation for wintertime vehicle control.